Combining the best of nature and design, the LOFT collection leaves most wondering: Genuine or engineered? You really have to look very closely to distinguish any difference. But beyond its sheer beauty,its superior durability makes potential damage from heavy furniture, direct sunlight or cigarette burns a thing of the past. 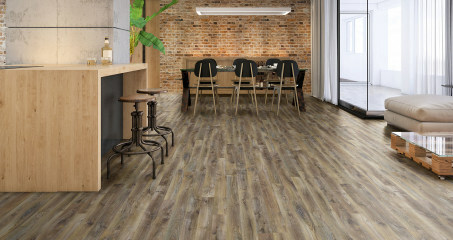 When you choose the LOFT collection, you choose robust and low-maintenance laminateflooring – because your home should be just as carefree as it is beautiful.